Home / Uncategorized / RVA Yeast Now in Stock! 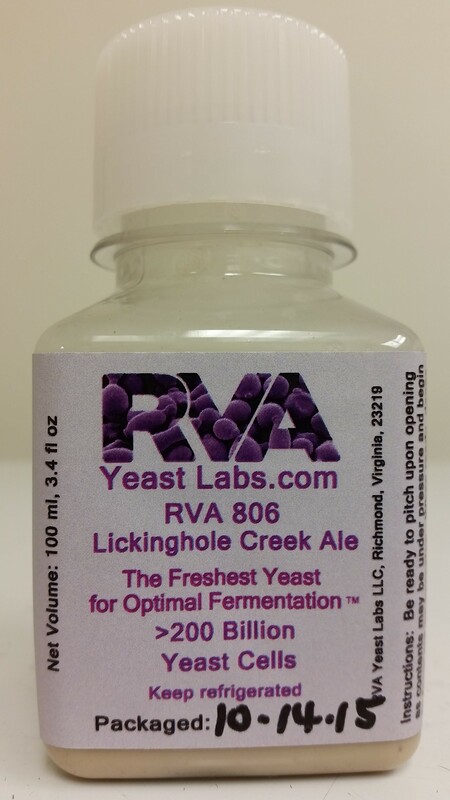 RVA Yeast Now in Stock! RVA 101 Chico Ale (Sierra Nevada): This versatile workhorse yeast will produce a clean crisp flavor profile with muted yeast character allowing hops and malt to take center stage. The American IPA has gained international acclaim and this is the yeast that did it. RVA 103 Pacman Ale (Rogue): A very versatile yeast, produces a dry, clean beer with little diacetyl and very mild esters. However, it has a lower emphasis on hop bitterness, slightly tart, and less attenuative (more residual sweetness). Great for pale ales, blonde ale, American wheat, altbier, amber ale. RVA 104 Hoptopper Ale (Alchemist): Isolated from a very well regarded example of a Double IPA, this strain will produce fruity esters which serve well to complement a heavy hop load. Great for a variety of pale ales and bitters. RVA 131 Chiswick Ale (Fullers): This classic English strain will produce a very clear beer with some residual sweetness. Perfect for classic bitters, milds, English style porters and stouts. RVA 141 Scotch Ale (McEwans): Produces the famous malty beers of Scotland, including the winter warmer, Wee Heavy. RVA 501 Brettanomyces claussenii: A low-intensity strain. Contributions from this strain are mostly aromas of pineapple and fruit. This strain prefers higher temperatures (85º F), but will produce nice aroma and subtle flavor at normal ale fermentation termperatures (68-72º F). RVA 806 Lickinghole Creek Ale: Isolated from the wilds at Virginia’s farm brewery, Lickinghole Creek Craft Brewery, this strain captures the terroir of this premier craft brew lover’s destination. With citrus esters, a nose of sweet honey and a dash of phenolic spice, this strain will complement a variety of dry Belgian style beers. We highly recommend this strain for Belgian triple and Saison.